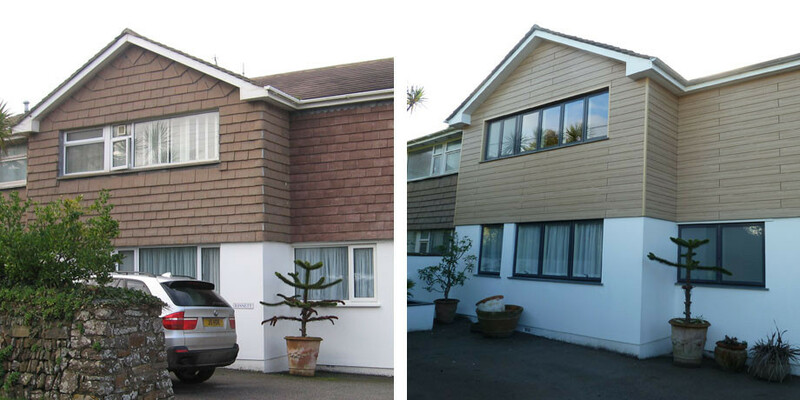 This family home had little architectural merit due to the low grade extensions which had been added over the years. It had problems with damp and poor insulation and its functionality was very disjointed. Our Client asked us to address failings of their home. 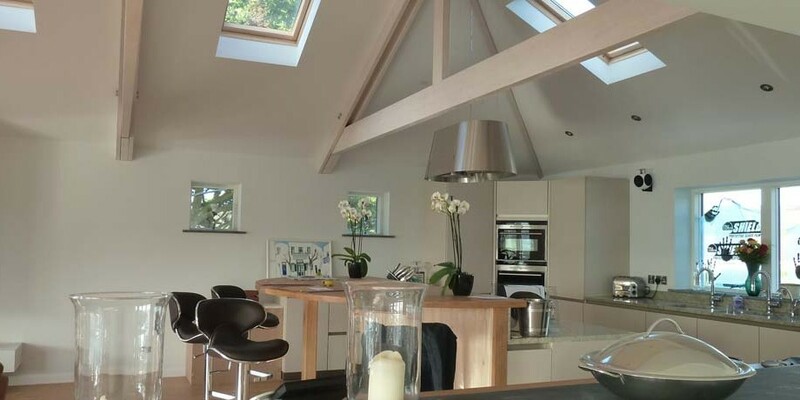 We integrated sustainable improvements to provide modern and functional areas which would enable the modernisation of their home to meet their current needs but also allowing future flexibility. Extensions enabled the creation of a new entrance hall with a curved staircase, master bedroom suite, family kitchen with adjacent dining area, a study, a family bathroom and a garden lounge which enriched the interaction with the garden. The scheme also significantly improved the visual appearance of the property and environmental statistics of the property, further enhancing the property as a modern flexible family home. From the start sustainability was an important consideration as the property had high energy running costs and suffered from bad workmanship in key locations which further affected the performance of the dwelling. It was essential that these issues were addressed. 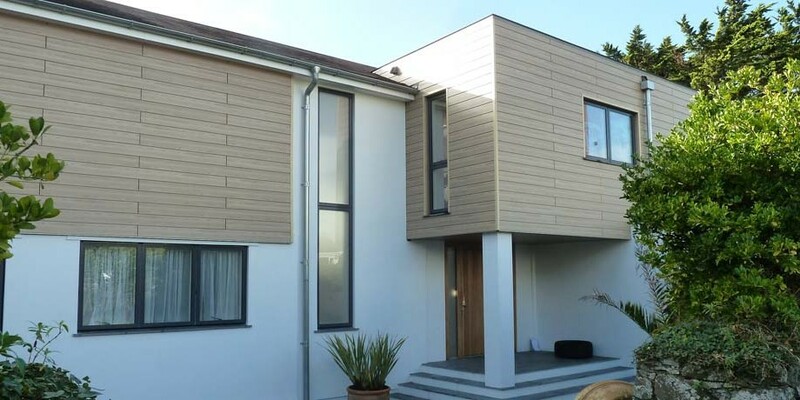 Our proactive approach enabled a tailored integration of higher levels of insulation than that which would be required by the current Building Regulations. The over cladding of the key under performing areas along with the strategic extensions allowed an improvement to the insulation in these areas. 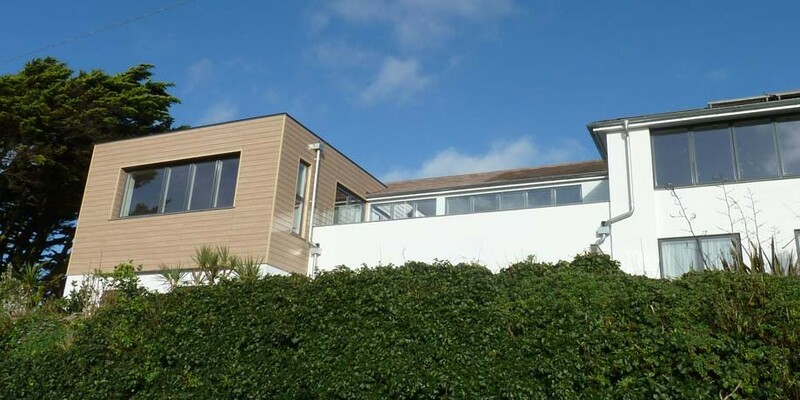 The scheme also offered a vast improvement to the first floor balcony offering protection from the North East Wind and greater privacy for our client from the adjacent properties. The end product resulted in a unique property which offers the flexibility for our client and their wider family, and which now has significant improvement in its environmental statistics through careful detailing, without detracting from the various Architectural styles in the surrounding area.